When there is insufficient free chlorine in the water, chloramines are formed, which is what people smell. 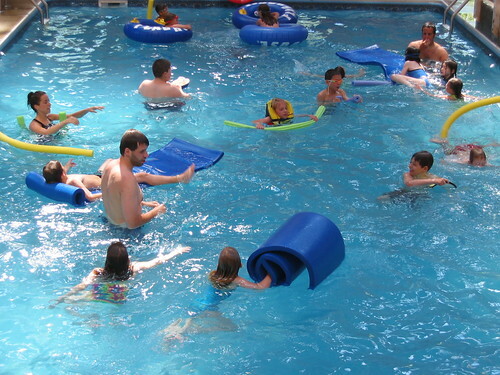 Chloramines bind with other chemicals in the pool, especially those that contain nitrogen and ammonia. To solve the problem, increase the level of free chlorines in the water by doing a chlorine shock treatment or by utilizing other methods to sanitize the water. The main reason why this occurs is that there is an imbalance of chemicals in the water. The following must be tested – alkalinity, calcium hardness, and pH. If the pH is either too high or too low, it can cause irritation. In addition, if total alkalinity is too low and if calcium hardness is too high, then swimmers will also experience burning of the eyes and nose while swimming. 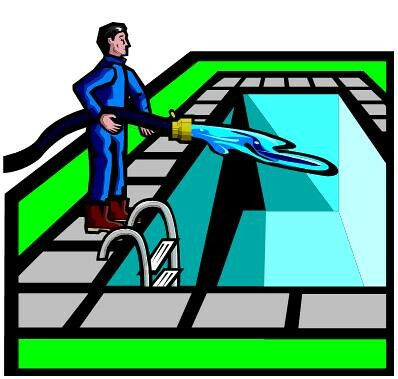 Address the problem by determining the levels of pool chemicals and adjust as necessary. Algae blooms occur when water cannot circulate properly and when water has very low levels of free chlorine. You need to test pool water to ensure that the amount of free chlorine is between 1 ppm to 3 ppm. If the level goes below 1 ppm, algae, as well as other microorganisms, will grow. So, make it a habit to check chlorine levels every week. If you notice algae growth, give the pool a thorough scrubbing. Then, apply algaecide and follow it up with a chlorine shock treatment. Remember to follow manufacturers’ instructions regarding chemical usage and formulations. Moreover, make sure to allot a day or two in between an algaecide application and a chlorine shock treatment because if you immediately apply chlorine after an algaecide, you neutralize the latter. Who wants to swim in a pool that looks murky? 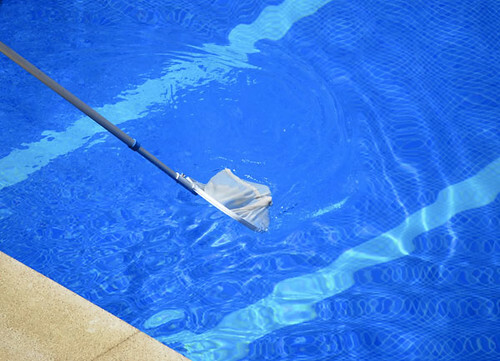 If your pool water appears cloudy, there are chemical imbalances that you have to correct. Get a pool test kit and assess the following: pH, calcium hardness, alkalinity, and stabilizer. If there are imbalances, correct them. Cloudiness could also signal the beginning of an algae bloom, or there could be a lot of minute particles in the water. Then, take a look at your pool’s filters. If these aren’t working efficiently, water quality will be affected. Plaques on your pool tiles will diminish the beauty of your entire pool area. Calcifications can form not only on tiles, but also on other ornaments, such as waterfalls. This problem is actually pretty common, and it is caused by calcium build up. Avoid this by regularly polishing tiles. In case there are already plaque formations, you’re going to have a hard time removing them. It’s better to call expert pool maintenance people because they have the tools and know-how to get rid of the calcifications. Adam Longoria is a pool maintenance expert who also offers decking and landscaping services. Know more about his company, SJ Pools, by visiting http://www.sjpools.com/ .